If you think fall means leaves turning to reds and golds, a gentle nip in the air and the rotation in your closet from shorts to sweaters, Tucson is not the place for you. However, if you love the performing arts—theater, symphonies and such—fall in Tucson is the perfect place to be. That's because groups that have taken a summer-long siesta resting their production passions are collectively awakening like a long-slumbering giant, ready to fill your mind with the wonder and substance and magic of their efforts. For a city of its size, Tucson has a wealth of theaters doing interesting, entertaining, thoughtful and even sometimes flat-out jaw-dropping work. There are some groups who have spent years mining resources and now use them to deliver consistently solid work. And then there are some that often struggle to find their voice and the resources to make that voice heard. But all of the theaters in Tucson work their best to deliver a product that does them proud. And the dam holding back pent-up production dreams is ready to burst. The new theater season is upon us. Arizona Theatre Company is called the state theater, maybe because it performs its entire season both in Tucson and Phoenix. It's certainly been around long enough to snag the title. Or maybe it's because ATC is a fully professional nonprofit theater operation, with staff, both managing and artistic, and actors being paid legitimate bucks for their efforts. Posters from this year’s ATC shows. This is the first season that will have ATC's new artistic director's David Ivers' full stamp on it. (He was around last year but the season had been chosen before he was hired.) First up is Native Gardens, by Karen Zaharias. A fairly new comedy, it confronts border issues—but not the kind that might pop into the mind of us locals. A Latino couple move into an old neighborhood filled with well-to-do folks in Washington, D.C. Property lines become the focus. And although this is a much lighter version of a border dispute, it dances around substantive themes not unlike those we here think about by default. It runs Sept. 8 through Sept. 29. 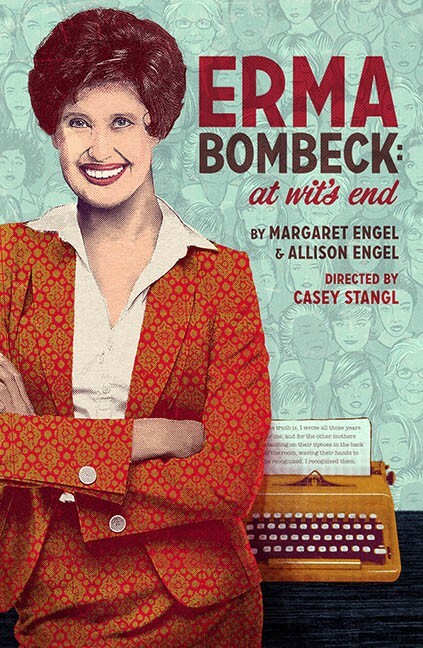 Next up is a one-woman show, Erma Bombeck: At Wit's End, about the funny but not entirely frivolous columnist who always managed to find a comic slant to some serious issues. It runs Oct. 20 to Nov. 10. 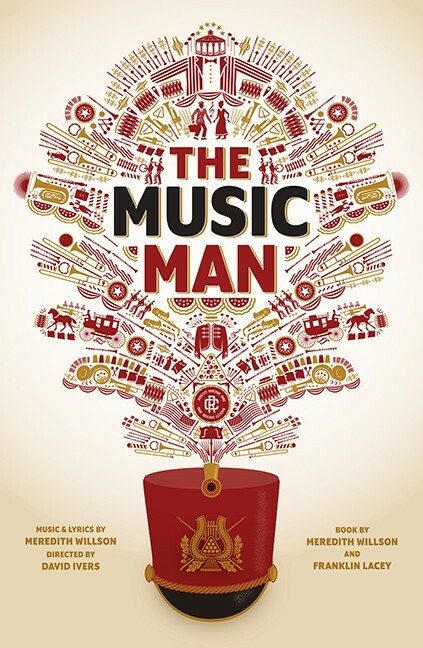 Then, just to ensure that there's plenty of merriment as we welcome our version of winter, ATC will bring us The Music Man. Yes, the mighty musical that burst on the scene in 1957 with tunes we all know and love, like "Trouble in River City," "Marian the Librarian" and "Seventy Six Trombones." It runs Dec. 1 to Dec. 30. The Invisible Theatre has been around for almost as long as ATC, but it's quite a different beast. Artistic director Susan Claassen has made sure that, while the theater occupies a small space, their productions are expertly done and please audiences that have been fans for a long time. From Sept. 4 through Sept. 16, the lights will come up on The Absolute Brightness of Leonard Perkey by James Lecesne. It's an Arizona premiere of the play, a one-person show that causes a town to question its values and identity after an unusual 14-year-old boy goes missing. It runs from Sept. 4 through Sept. 16. Then The Busy World is Hushed runs from Oct. 30 through Nov. 11. "Faith, love and loss collide in this staggering beautiful new play," says IT's promotional materials. A review in Broadway World UK called it "a wonderful script" about the the complexity of religion, and "a reminder to us all that we must give ourselves the ability to love." Over at the Rogue Theatre, which always gives us theater we can sink our teeth into and chew on for a while, the first show of the new season is Bertolt Brecht's Galileo, which fictionalizes Galileo's clash with the Catholic Church when he confirms the Copernican model of the solar system. It's a battle of science vs. religion, an issue that is still in today's news, making it a relevant and timely piece. It runs Sept. 6 through Sept. 23. That will be followed by a relatively new play that garnered great attention when it ran in New York. 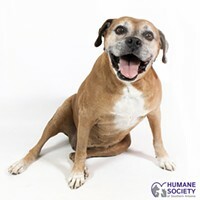 The Curious Incident of the Dog in the Night-Time by Simon Stephens, based on the novel by Mark Haddon, won Tony Awards for Best Actor, Best Director, Best Scenic Design, Best Choreography, Best Lighting Design and Best Play in 2015. How's that for credentials? Fifteen-year-old autistic Christopher has great intelligence but cannot make sense of everyday life. He is suspected of killing his neighbor's dog, and when he determines to identify the true culprit, he embarks on a life-changing journey. This show runs Nov. 1 through Nov. 18. Rogue also runs a series of play readings. More information can be found on their website. Live Theatre Workshop is currently bringing us Every Brilliant Thing, a one-person show with Tucson actor Steve Wood, about a young man trying to make sense of his complicated circumstances, which includes a suicidal mother. The New York Times said it "offers sentimentality without shame." It runs through Oct. 6. Then comes Death by Design, a light-hearted mystery that combines an Agatha Christie-like plot with the wit of Noel Coward. The setting is a weekend in an English estate with uninvited guests, creating a story ripe for murder. Then from Nov. 29 through Dec. 29, they will offer cheery musical fun, Snoopy!, a sequel to You're A Good Man, Charlie Brown. It's a story for all ages, and it, too, is based on Peanuts, the comic strip by Charles Schultz. Winding Road Theater Ensemble has done some personnel revising, and their fall season offers Good People, by David Lindsay-Abaire, for the first time ever produced in Tucson. It takes place in Southie, the tough neighborhood in Boston, so tough that it's hard for its residents to imagine more for themselves. On Broadway, it featured Frances McDormand, and it's hard to believe this fine actress would lend her talents to an inferior script. It runs Nov. 1 through Nov. 18. Like Rogue, WRTE is also offering a series of play readings, the first of which is Consolation by Toni Press-Coffman, a well-known name in Tucson theater circles and one of the founders of WRTE. It will happen Sept. 22 through Sept. 23. The rather oddly named Something Something Theatre Company has named their season of plays To Boldly Go. They will offer two productions this fall. The first is Men on Boats by Jacklyn Backhaus. The theater's press material proclaims it is "a mostly true, gender-bent historical comedy" about John Wesley Powell's discovery of the Grand Canyon. It has an all-female cast. It runs Oct. 12 through Oct. 28. Next up is Constellations by Nick Payne, a love story with a big twist, involving "string theory, relativity and quantum mechanics," said theater critic Ben Brantley of the New York Times. It runs Dec. 6 through Dec. 23. Borderlands continues to make changes in the way it goes about its theater-making. This fall, they will offer only one show, but it has been months in the making and unmistakably conforms to the theater's wish to be relevant to our community. It's called Sanctuary, and it was developed by playwright Milta Ortiz, who spent months researching the sanctuary movement that had its origins here in Tucson after thousands sought refuge in the U.S. after civil wars erupted in El Salvador, Guatemala and Nicaragua in the 1980s. Humanitarians and religious activists, especially here at Southside Presbyterian Church, stepped in, and the play looks at the people and events at that time. Of course the theme resonates anew with current issues of border crossing to escape certain death. It will be presented at Southside Presbyterian Church Sept. 6 through Sept. 23. The new Scoundrel and Scamp Theatre, which opened its doors in 2017, will present Eurydice by Sarah Ruhl, running Oct. 10 through Oct. 28. The much-lauded play retells the story of Orpheus, who descended into the depths to rescue his wife, from his wife's Eurydice's point of view as she plunges into the depths. In 2007, when the show opened in New York, drama critic Charles Isherwood in the New York Times called it "a tender-hearted comedy" in which Eurydice "learns about love, loss and the pleasures and pains of memory." The theater will also present in their Theater for Scamps season, which presents shows for most ages, This Girl Laughs, This Girl Cries, This Girl Does Nothing Nov. 10 through Nov. 25. Cloud Soup, written and performed by physical theater artist Wolfe Bowart, runs Dec. 5 through Jan. 13. Arizona Onstage gives us Mamma Mia for five performances, Nov. 24 through Dec. 2. This is the Tucson group that has given us very respectable productions of huge shows like Les Miserables, Sweeney Todd and The Producers, as well as smaller more intimate musicals. Arizona Repertory Theatre, the performing arm of the University of Arizona's theater program, has three upcoming shows this fall. The Arizona Premiere of Like Heaven, by UA professor Elaine Romero, will run from Sept. 19 through Oct. 7. It's a tale of four women from Independence, Missouri, told with "heart and humor," promises the press materials. Then, everyone get ready to sing along with the spirited chorus of Sister Act, the 2006 musical based on the 1992 movie. It runs from Oct. 17 through Nov. 4. The first half of the ART's season will conclude with The Cripple of Inishmaan, a coming-of-age story told with wit and irony by the talented Irish playwright Martin McDonagh. It will run Nov. 7 through Dec. 2. Pima Community College's theater program churns out some fine shows as well. 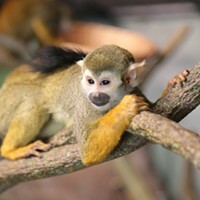 The Magic of the Rainforest: An Amazon Adventure will run Sept. 26 through Oct. 7. And Moliere's classic Tartuffe will run Nov 8 through Nov. 18. The Community Players have been around for years, making it the oldest community theater in town. They will present The Merrimakers, Sept. 7 through Sept. 23; The Spinoff, Oct. 5 through Oct. 21; and The Foreigner, Nov. 2 through Nov. 18. Roadrunner Theatre Company, having found a happy home on the east side in recent years, will present The Underpants, Sept 14 through Oct. 7; The Real Machiavelli by Tucson playwright Monica Bauer will run Oct. 19 through Nov. 11; and Inspecting Carol, Nov. 11 through Dec. 23. The newest kid on the community theater block is Oro Valley Theatre Company, and it will produce a female version of the Neil Simon's The Odd Couple Nov. 14, 15 and 18. Broadway in Tucson brings us professional touring productions of big-name shows. This season will feature the ever-popular Les Miserables, running Sept. 4 through Sept. 9. If you've never seen this show, treat yourself. There's a reason why it wows audiences. Next up is On Your Feet!, the story of Cubans Emilio and Gloria Estefan, who became pop sensations in America before misfortunes threatened their careers and their lives. It runs Nov. 13 through Nov. 18. Next comes Waitress, the musical based on the movie about a young woman trying to find her way out of an unsuccessful marriage and a dead-end town. The show was developed and produced by an all-female creative team, and Variety praised it because it's "not simply about getting Prince Charming, but getting its heroine to take action and discover her worth." It runs Dec. 4 through Dec. 9. There's an unusual theatrical event being sponsored by St. Francis Players, Tucson Labyrinth Project and Apparent Artists. It's called Dogs of Rwanda, and it's a one-person show about how, as a young missionary, a 16-year-old boy witnessed the genocide happening there and its imprint on his adult life. Ten performances can be seen at three locations Sept. 27 through Oct. 14. Finally, there's the wacky wonderful fun to be found at the Gaslight Theatre. The Vampire will run Aug. 30 through Nov. 4, and their special holiday show, Scrooge, runs Nov. 8 through Jan. 6. Hear that? That's the buzz of anticipation. Tucson theaters, bring it on!